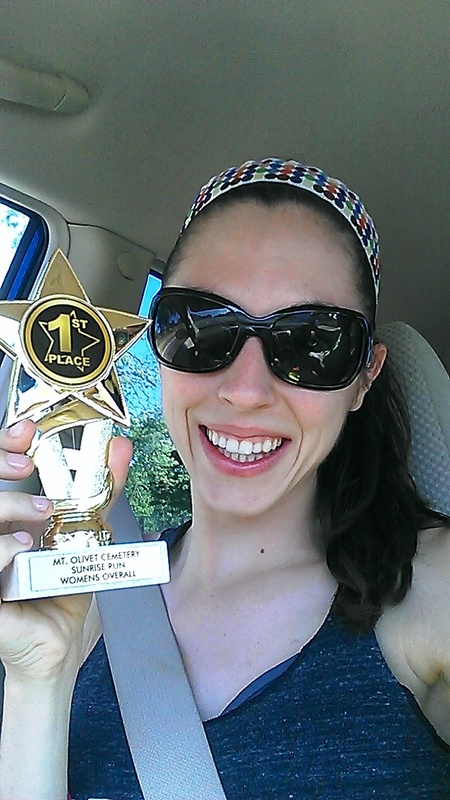 Before I talk about Life as RX, I want to tell you about my 5k race that I completed this past Sunday. It was at Mt. Olivet Cemetery in Detroit which is an old, beautiful cemetery. The race started early at 8 AM so we had to get there really early. I came with my biggest fan, my husband Troy. He is injured so he could not race. He did an excellent job going around the race course to cheer me on though!! I ended up finishing 1st for women and 6th overall!! I got my best 5k time of 20:59 for 3.1 miles. It was a happy day. I got the trophy pictured below. Life as RX is a company that makes gear specifically for Crossfit. Since I have not had the opportunity to try Crossfit yet (but want to! 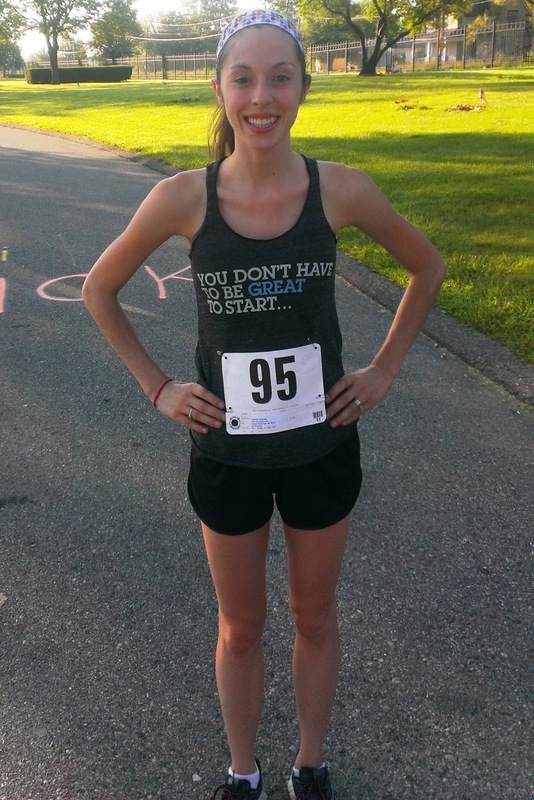 ), I reviewed two of their tank tops for running. As you can see in my race pictures, I wore my new Life as RX shirt to the race. 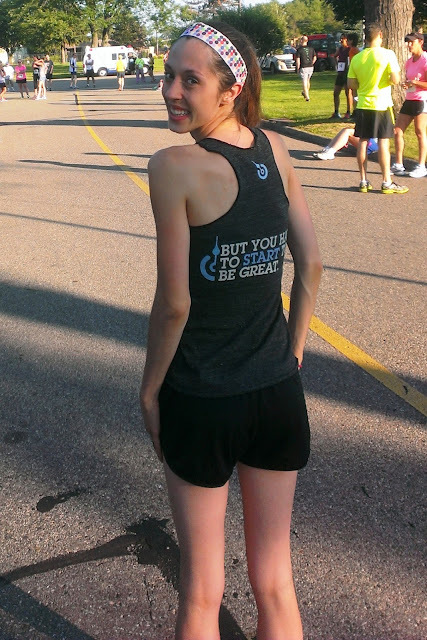 The front of the shirt says "You Do Not Have to Be Great To Start" and the back says "But you Have to Start to Be Great". I love this saying because it is so true. If you do not start training, you will never be great. Everyone has to start somewhere. This shirt was very comfortable to wear during my super hot and sweaty race. It did not ride up at all and was a good choice to wear for my race. Life as RX tanks run about $26.00 each. I was also sent the cute purple tank above that says "Stronger than Yesterday". Love the motivational sayings! Check out Life as RX for all sorts of crossfit gear. The giveaway will be for a $25 Life as RX gift certificate to one reader. I love the tank you're wearing! I love the I HAVE STANDARDS BURNOUT. I love the shirts and the quotes wrote on them, specifically the tanks!